The amount of pressure sores resulting from negligent nursing care is getting out of hand, which is why the Hammond bedsore injury attorneys of Nursing Home Law Center LLC advocate on behalf of injured nursing home residents through the aggressive pursuit of compensation and the education of the public on common concerns. We will no longer tolerate the prioritization of profit over the delivery of care for nursing patients that is agreed upon when they are admitted. If a facility is unable to serve the most basic of their residents’ needs, they must invest in programs and staff members that will improve the quality of their services or suffer consequences. Hammond in the fifth largest city in Indiana and its proximity to Chicago allows residents access to a wide range of choices when it comes to nursing care. 10.7% of Hammond’s population is over the age of 65 and there are many more who will enter their golden years over the next decade. There is a strong need for senior services in Hammond, but no senior centers to deliver them. Greater Hammond Community Services is a local organization that strives to meet the needs of the impoverished and the infirm by providing assistance with meals, transportation and other social services. The organization depends on donations from the community and is currently underfunded. To learn more about the organization and the services it provides, you can visit http://www.greaterhammond.com/. While there are 91 nursing centers within 25 miles of Hammond, only six of them have earned a five star rating from Medicare. An alarming 55 are rated two stars or lower. These disparaging grades reaffirm many peoples’ fears that their loved ones may be neglected or mistreated when under the care of assisted living facilities, but it is possible to find a suitable home for your loved one if you know where to look and how to narrow your search. Our Hammond pressure sore lawyers used the Medicare nursing home compare tool to extend our nursing home search to a 50 mile range and returned 58 five star results. By using this tool, you can eliminate disreputable centers from your search and also view homes based on the type of care they provide, forms of payment accepted and more. 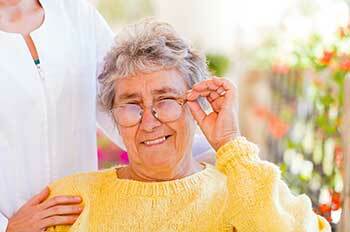 To access this indispensable aid, you can visit the Medicare website at https://www.medicare.gov/nursinghomecompare. While some extreme cases prove to be exceptions, the vast majority of bedsores can be prevented with the type of care most people will agree is elementary. The failure to deliver this preventative care is purely unacceptable, as it is an indication that the patient’s needs and rights have been disregarded. Pressure sores result from inactivity for long periods of time and while it is common for patients who have difficulty moving on their own to remain sedentary for extended periods, all caregivers need to do is adjust their positions on a routine basis to drastically reduce the chance they will develop a sore. Detection of sores is just as simple and most sores can be treated before they become serious. This is why there is no doubt in our minds that an advanced stage pressure ulcer is the product of understaffing and neglect in most of the cases we encounter. At some point, administrators need to be held to account for choosing to lower their bottom lines at the expense of patient comfort and safety. Nursing Home Law Center LLC would like to invite you to have your case reviewed free of charge so that we can help you determine the appropriate course of action. Our award winning Hammond bedsore injury attorneys have extensive experience with Indiana nursing home negligence cases and will be able to let you know which strategies are most feasible if you wish to take legal action. We work solely on a contingency basis, so we are also able to guarantee that our services will be free if we should fail to secure damages on your behalf.